Scientists and ethicists at a global meeting in Washington on Thursday said it would be "irresponsible" to use gene editing technology in human embryos for therapeutic purposes, such as to correct genetic diseases, until safety and efficacy issues are resolved. But organizers of the International Summit on Human Gene Editing said editing genes in human embryos was permissible for research purposes, so long as the modified cells would not be implanted to establish a pregnancy. 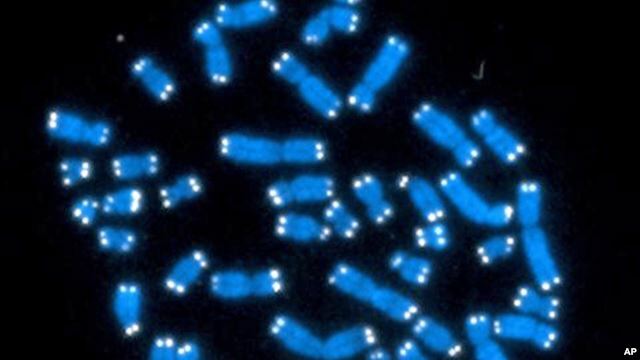 The statement comes as debate grows over the use of powerful new gene editing tools in human eggs, sperm and embryos, which are called germline cells. Such tools have the power to change the DNA of unborn children. The group's guidance follows calls for various bans on the use of the technology known as CRISPR-Cas9, which has quickly become the preferred method of gene editing in research labs because of its ease of use compared with older techniques. Advocates say the technology can speed the day that scientists are able to prevent hereditary diseases. Opponents worry about unknown effects on future generations and the temptation by future parents to pay for genetic enhancements such as greater intelligence or athletic ability. "It would be irresponsible to proceed with any clinical use of germline editing unless and until the relevant safety and efficacy issues have been resolved, based on appropriate understanding and balancing of risks, potential benefits and alternatives, and there is broad societal consensus about the appropriateness of the proposed application," the statement said. The meeting was convened by the National Academies of Medicine and Sciences, the Chinese Academy of Sciences, and the Royal Society of the United Kingdom. The group also endorsed research on the use of gene editing in non-reproductive or "somatic" cells toward the development of treatments, such as sickle cell disease or as a treatment for HIV, because such work falls under established regulatory frameworks. The organizers also recommend an ongoing international forum to discuss potential clinical uses of gene editing. The National Academy of Sciences and the National Academy of Medicine have begun a study to examine the potential ramifications of human germline editing and will produce a report next year. Debra Matthews, an ethicist and expert on stem cell science at Johns Hopkins School of Medicine, said the notion of an ongoing forum was "fantastic" but that the committee's decision to draw the line on germline editing at reproduction was curious, especially in light of past controversies about embryonic stem cell research. "I can understand why they did that, but I disagree," she said. In the United States, researchers are banned from using federal funds for human embryonic stem cell research, but such work may be done with private or state funding. Concerns over the use of gene editing technology were raised in April when a team of Chinese scientists reported carrying out the first experiment to alter the DNA of human embryos. But at a news conference following the meeting, David Baltimore, one of the meeting organizers and former president of the California Institute of Technology, said the research was in accordance with Chinese regulations and conformed to the committee's dictates.